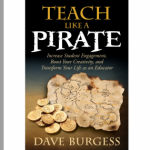 Over the March Break, I read Teach Like a Pirate and loved it so much that I ordered copies for each of our staff members. During the transaction, I met (online) the author Dave Burgess and before long we had booked him to come to London to be a part of our Professional Learning Day. Dave entertained us with stories about his high school history class and excursions to Frederick’s of Hollywood to purchase historical teaching aids. Without giving away the whole story, imagine lots of red bags and a “supporting” prop. 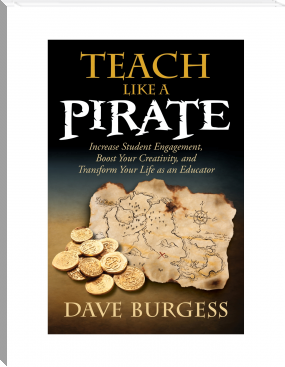 Dave’s passion for his chosen profession was evident as he shared presentation hooks which allow him to engage his students and catch them off guard as they realize, “Oh no, he’s teaching us again”. The circular intersection of content, teaching strategies and presentation are the key to forming a strong foundation for meeting the needs of all students, but most importantly for those students who may be “at-risk” or disengaged. 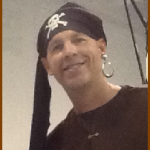 Dressed in full pirate costume, Dave wove magic tricks and American history content into his two hour presentation and we, as the audience, found ourselves saying, “Oh no, he’s teaching us ~ something about how to be better educators”. His message was one of no excuses and his most memorable quote was “It’s not meant to be easy, it’s meant to be worth it”. I couldn’t agree more. I can’t think of many teachers who would say that teaching these days is easy. Our students arrive at our door with a variety of challenges and it’s our job to find ways to reach them, to excite them about learning and to ensure that they are ready to go into the world and make it a better place. 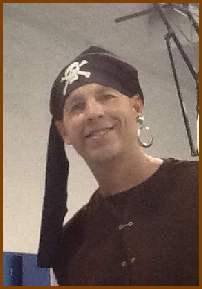 It’s going to take more than an eye patch and an earring, but learning how to Teach Like a Pirate will undoubtedly have a positive impact for both you and the students who are fortunate enough to be in your learning environment.